Heat ghee or vegetable oil in a large heavy-bottomed pot (I use a ceramic dutch oven) over medium heat. Cook the onions until translucent, about 5 minutes. Add the pre-soaked lentils, broth, and water and bring to a boil, covered. Stir occasionally. Then reduce the heat to maintain a gentle boil covered for 40 minutes, stirring occasionally. I like this soup to be very brothy, so increase the boiling time, uncovered, until you achieve your preferred consistency. Remove from heat and adjust salt to taste. Add the ground cumin and ground coriander. Using an immersion blender, puree the soup until the lentils are as smooth as possible (this is important because in this soup, the ratio of water to lentils is so high that the lentils will separate from the liquid and could seem a bit sandy in texture, but that’s how it was in the restaurant where I first tried this). Then add the juice of half a lemon. 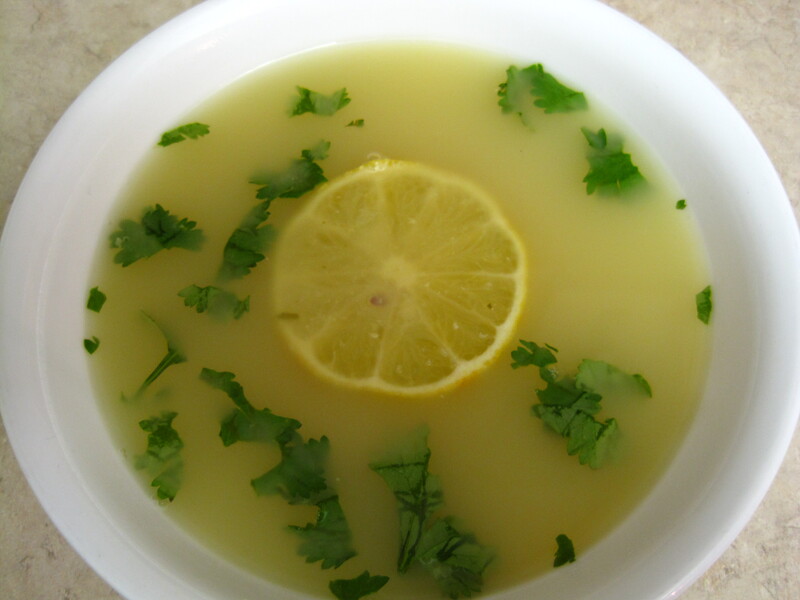 Place a slice of lemon and a pinch of fresh cilantro on the bottom of each soup bowl. Mix the soup well before ladling into the bowls. Serve hot and immediately after plating.